As you may well know, my love for the Harry Potter series knows no bounds. I love it, I love it, I love it. Equally, I am in love with the Fantastic Beasts series. All I want in life is a house with a library and two bathrooms AND for JK Rowling to continue writing back story to the HP series. With Fantastic Beasts I kind of have one, now I am just holding out for the house with the library and two bathrooms (fingers crossed folks). The Crimes of Grindlewald brings us to a character we first heard about in the Harry Potter series. The eponymous Grindlewald has been spoken of a lot in the Pottermore universe and it seems that we are getting to know a lot more about him and how he approaches wizardy. We are also seeing a remarkable resemblance of thinking to He-Who-Shall-Not-Be-Named (*coughs Voldemort). What I love about The Crimes of Grindlewald is that it leaves you wanting more. Something that JK does best. Fantastic Beasts: The Crimes of Grindlewald – The Original Screenplay by JK Rowling is available now. For more information regarding JK Rowling (@jk_rowling) please visit www.jkrowing.com. For more information regarding Little, Brown (@LittleBrownUK) please visit www.littlebrown.co.uk. I thought of how much I wanted to be a journalist. I thought of what a gigantic scoop this was. I noticed how downcast and miserable he looked. Firstly, I would like to thank Clara Diaz of Little Brown for sending me a review copy of Spandex and the City by Jenny Colgan and for inviting me to take part in the blog tour. Jenny Colgan’s latest book offering is the all out superhero romp Spandex and the City. The story centres on Holly Phillips whose ordinary life is even starting to bore her. Trying to leave the humdrum existence Holly manages to meet local superhero Ultimate Man on a night out and from that point on no one can call her life boring. Colgan’s approach to the superhero genre is interesting. It is rare (if not never done before) that we see a superhero story through the eyes of the love interest. Colgan manages to stick to traditional character traits for the Superhero but exploring them through a different perspective. Sure, Ultimate Man is all brooding and self sacrificing but think back to all your superhero movies; we never saw things from Lois Lane’s or Mary Jane Watson’s perspective. Furthermore, in Spandex and the City, Colgan brings us back to her earlier writing. Holly is charming and easy to like. Her self-depreciating nature reminded me of the protagonists in Colgan’s Talking to Addison and Looking for Andrew McCarthy (both excellent books that you should read). Spandex and the City is an experimental fusion of the Rom Com and Superhero genre and Jenny Colgan has tackled this challenge with gusto. Spandex and the City might not be a book that will save the world but the story might just save you on a boring day. Read it! Spandex and the City by Jenny Colgan is available now. For more information regarding Jenny Colgan please visit (@jennycolgan) www.jennycolgan.com. For more information regarding Little Brown (@LittleBrownUK) please visit www.littlebrown.co.uk. J.K. Rowling’s screenwriting debut is captured in this ebook edition of the Fantastic Beasts and Where to Find Them screenplay. The film Fantastic Beasts and Where to Find Them received its theatrical release on 18th November 2016. I am not going to lie to you. I am a mad Harry Potter fangirl so anything Potter related I am pre-destined to love. However, my love for Fantastic Beasts and Where to Find Them by JK Rowling is actually based on more. It is just a wonderful story. I am constantly saying to friends and other Potterheads that JK Rowling needs to write wizarding history. I want to know more about The Order of the Phoenix, more about You-Know-Who’s life, more about the Lestrange family. Just more, really. I think that I why I was so excited when the Pottermore series was released in September, why I sat on the hallway stairs waiting for The Cursed Child to be delivered (I was there for 8 hours – it stopped being funny really quickly) and why I was so excited for the release of fantastic beasts. It is the back story of such a random and little mentioned character in the Harry Potter series but it packs such an impact and drips through to the series in such a subtle way. Newt Scamander has docked in New York with hopes to find a rare creature. What ensues is a series of wacky and magical adventures that has you wishing you weren’t a muggle. JK Rowling has, once again, delivered another fabulous piece to the Potter puzzle. Heed my words Rowling, WE WANT MORE! Fantastic Beasts and Where to Find Them by JK Rowling is available now. For more information regarding JK Rowling (@jk_rowling) please visit www.jkrowling.com. For more information regarding Little Brown UK (@LittleBrownUK) please visit www.littlebrown.co.uk. Firstly, I would like to thank Poppy Stimpson from Little Brown for sending me a review copy of The Little Paris Bookshop. I will admit that I fell in love with the cover of this book which urged me to request a copy of it for review; the title also played a bit part. I love Paris and I love bookshops. This book seemed perfect for me. What I also got with this book is a medicine cabinet of cures. It simultaneously broke my heart and fixed it; made me smile and cry. The Little Paris Bookshop also made me feel content; the way a good book should. The Little Paris Bookshop is chock full of substance and style – it’s a double threat on that account. The story centres around Jean and his life as a book seller or apothecary who owns a bookshop barge that sits placidly on the Seine. He is isolated but by choice until a new neighbour – the recently heartbroken Catherine – moves into his tenement and unknowingly forces him to confront his past; a past that has plagued him for the past twenty one years and forced him to live a life of solitude and grief. Having been knocked into action Jean Perdu sets out on a journey of discovery with a couple of friends and a couple of cats in tow. Through this journey we see Jean Perdu grow, change and shed away some of the layers of coldness that he has used to keep people at arm’s length drop away. It is gorgeous to watch and to live each emotion with Jean. This is the kind of novel that comes by once in a while and reminds you why you keep reading some of the poorer more hyped books; because every so often you come across a gem like The Little Paris Bookshop. This is a story about the journey AND the destination. Both are intrinsic to the story and Nina George has not left you hanging on and wondering how it all ends. The story is complete and as you turn the final pages you will know that you have read something both magical and enchanting. 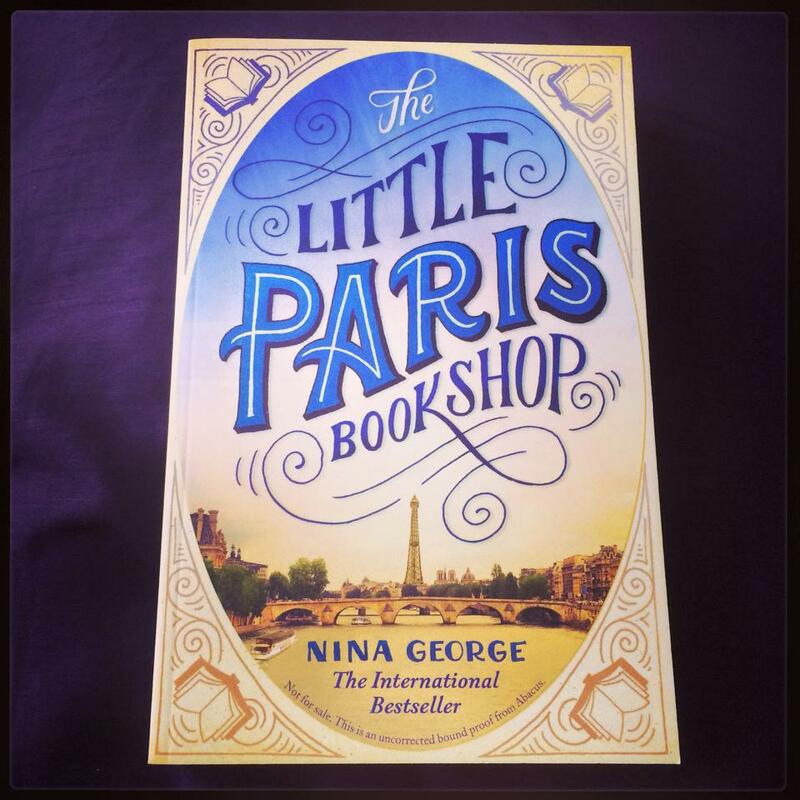 The Little Paris Bookshop by Nina George is available now. Follow Nina George (@nina_george) on Twitter.